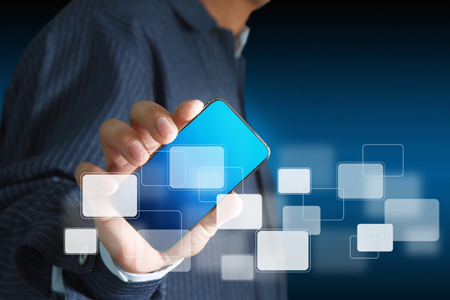 The mobile-first organization is forced to operate in a new IT environment: compromised mobile devices, BYOD programs, and evolving cybercrime. Enterprises are struggling to protect business information and applications against cyber-attacks using deficient and fragmented solutions that were not built to withstand modern threats. These solutions expose mobile devices to modern attack vectors, turning them into soft endpoints. Delivers a multi-layered approach: hardware, firmware, and applications. Eliminates security breaches existing in commercial devices. Blocks access points and vectors used for cybercrime. Provides in-depth protection against voice interception techniques. Enables diverse security levels according to organizational needs. Delivers hybrid COPE / BYOD deployment. Hardened device (IntactPhone). The IntactPhone device provides trusted hardware for secure, authorized-only boot processes. Security-rich mobile OS (IntactOS). The customized operating system is tightly coupled with the hardened device. It provides a security-enhanced framework and utilities that block cybercrime attack vectors, with same-day over-the-air security patches. Fused Command Center (IntactCC). The governance center manages device inventory and granular use policies, including an internal-only enterprise app store to eliminate the infection of devices caused by negligence. Encrypted communications. The intelligent end-to-end wiretapping encryption covers the entire communications environment and blocks cutting-edge eavesdropping techniques, while ensuring crystal clear voice quality. Security tools (IntactApps). The security product suite provides crowd analysis, antivirus, and AppsOps management, delivering robust threat prevention. Remote control (IntactCare). The technology enables complete remote control over the device from afar for swift recovery via security experts. The IntactPhone technical specifications include Octa-core CPU, 5.5″ Full HD ultra-bright display and 3GB RAM. A corporate-owned personally-enabled device that constitutes the three-way defense through the hardened device, the proprietary operating system and the application level defense. A BYOD approach consisting of the application level defense – encrypted communications, central command center, crowd analysis, and remote control.